Here is a simple water ripple simulation showing single slit wave diffraction. The following Mathematica code solves the wave equation with damping using the finite difference method. You can read more about this algorithm on Hugo Elias’ website. (Note: technically this simulation should use Neumann boundary conditions but I decided it was simplier to demonstrate using Dirichlet boundary conditions). See also the Shallow Water Equation. 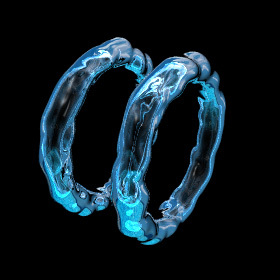 Here is a pair of leap-frogging bubble rings. Extraordinary Toroidal Vortices - popular YouTube video that uses my animation, Chris M.
Bubble Ring Videos - blown by human, whale, dolphins. This is fun... try it some time! 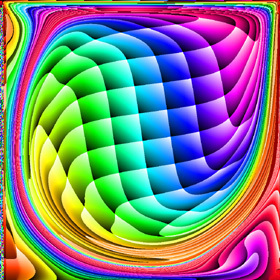 Here is some Mathematica code to plot streamlines. The blue lines are rotating clockwise and the red lines are rotating counter-clockwise. The plot on the left agrees fairly well with Ercan Erturk’s results. 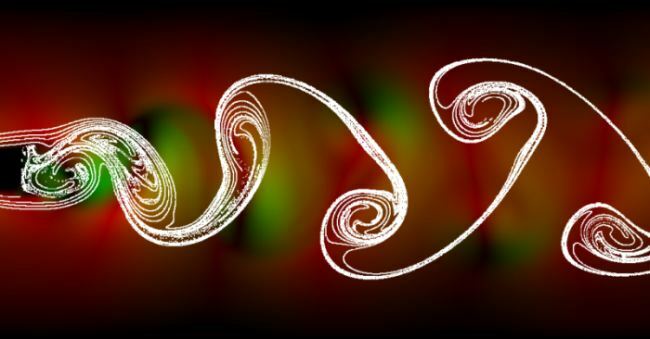 Here is some Mathematica code to plot vorticity contours. The plot on the left agrees fairly well with Ghia’s results. 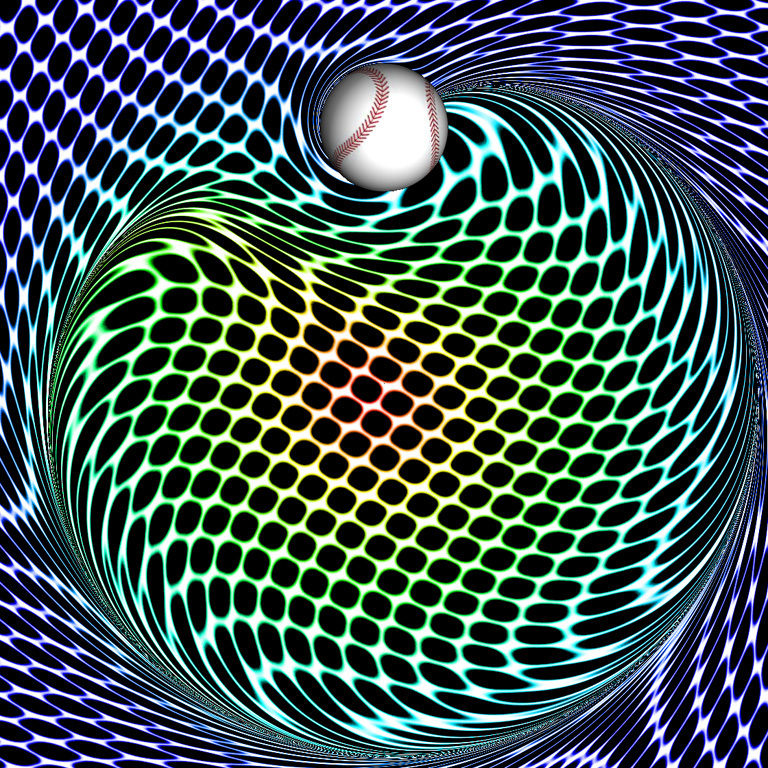 Here is the same driven cavity using the finite difference method. This code uses the Alternating Direction Implicit (ADI) method to solve the vorticity transport equation assuming unsteady, incompressible, viscous flow. 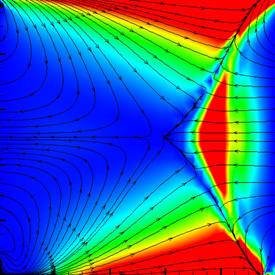 This method seems to be much faster and easier to implement in this case than the finite volume method. When a droplet falls into shallow water, it creates a crown or "coronet". 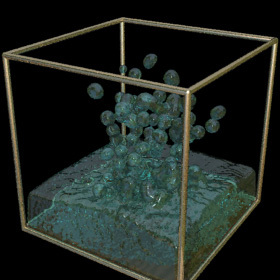 This droplet simulation was calculated using Smoothed Particle Hydrodynamics (SPH). 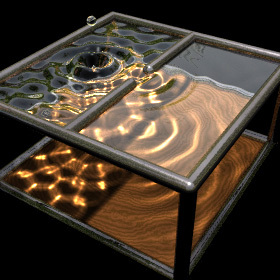 SPH is one of the most impressive-looking fluid simulation techniques. Fluid Animations - amazing animations by Ron Fedkiw, with Eran Guendelman, Andrew Selle, Frank Losasso, et al. 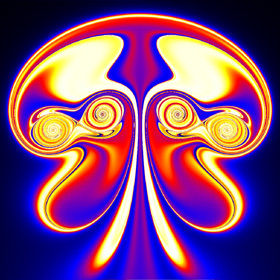 Smoke Animations - by Jos Stam, Henrik Jensen, Ron Fedkiw, et al. 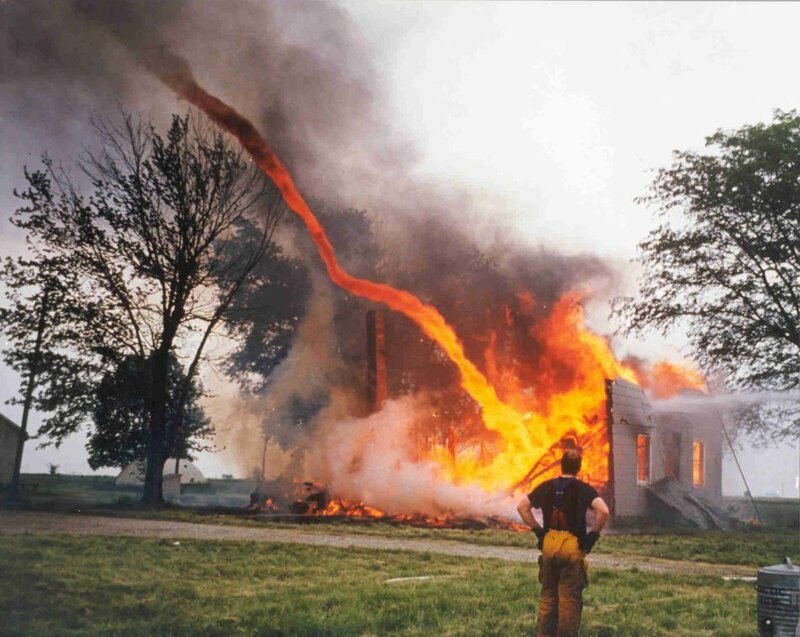 When fluid passes an object, it can leave a trail of vortices called a Von Kármán Vortex Street. 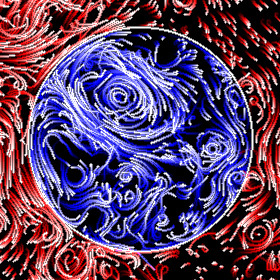 This animation shows the vorticity where blue is clockwise and red is counter-clockwise. This simulation assumes unsteady, incompressible, viscid, laminar flow. For solenoidal flows, mass conservation can be achieved by taking the Fast Fourier Transform (FFT) of the velocity and then removing the radial component of the wave number vectors. The code was adapted from Jos Stam’s C Source Code and paper which is patented by Alias. 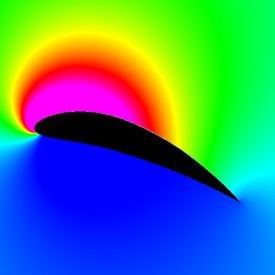 This flapping wing was calculated using the unsteady vortex panel method adapted from Alan Lai’s Fortran code. It assumes inviscid incompressible potential flow (irrotational). I also have a Mathematica version of this code, but it is a little lengthy to show here. See also my biomimetics links. Insect Flight - Jane Wang made one of the first simulations to predict that an insect can produce sufficient lift to remain aloft. Here is another article about it. 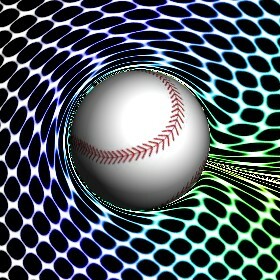 See also these Vortex Method Simulations by Jeff Eldredge. Robotic Fly - Uses piezoelectric actuators, by Ron Fearing. See also his Microfly with piezoelectric actuators. 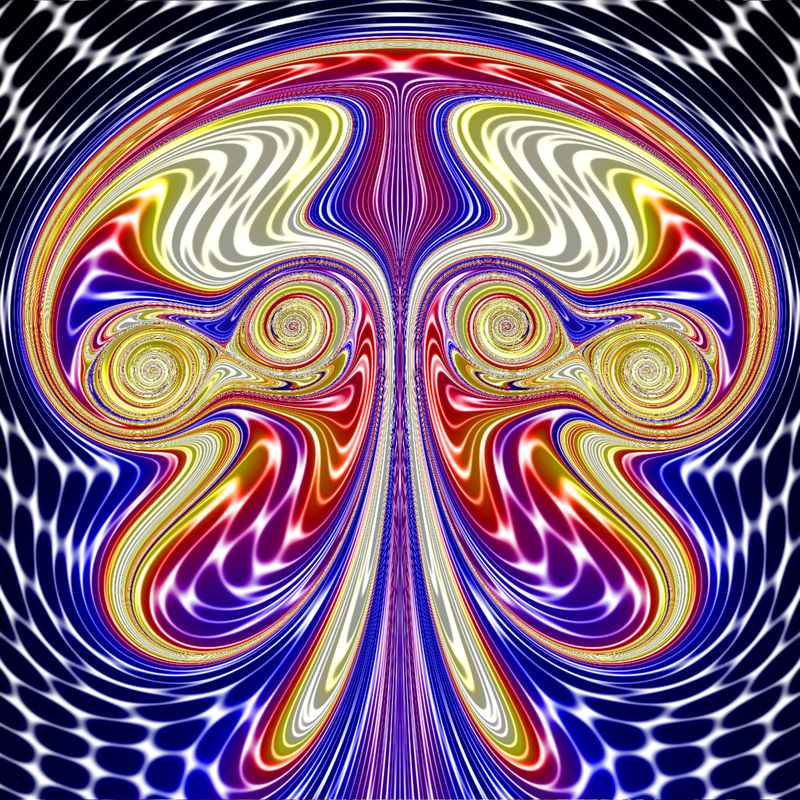 These animations were created using a conformal mapping technique called the Joukowski Transformation. 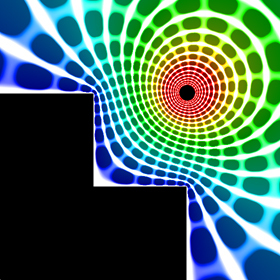 A Joukowski airfoil can be thought of as a modified Rankine oval. It assumes inviscid incompressible potential flow (irrotational). Potential flow can account for lift on the airfoil but it cannot account for drag because it does not account for the viscous boundary layer (D'Alembert's paradox). In these animations, red represents regions of low pressure. 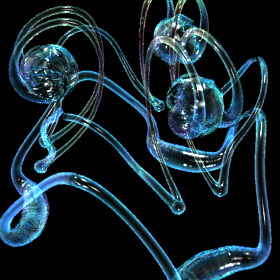 The left animation shows what the surrounding fluid looks like when the Kutta condition is applied. Notice that the fluid separates smoothly at the trailing edge of the airfoil and a low pressure region is produced on the upper surface of the wing, resulting in lift. 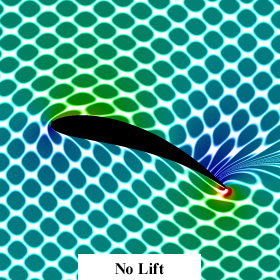 The lift is proportional to the circulation around the airfoil. 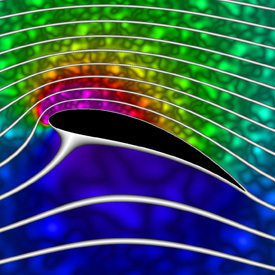 The right animation shows what the surrounding fluid looks like when there is no circulation around the airfoil (no lift). Notice the sharp singularity at the trailing edge of the airfoil. 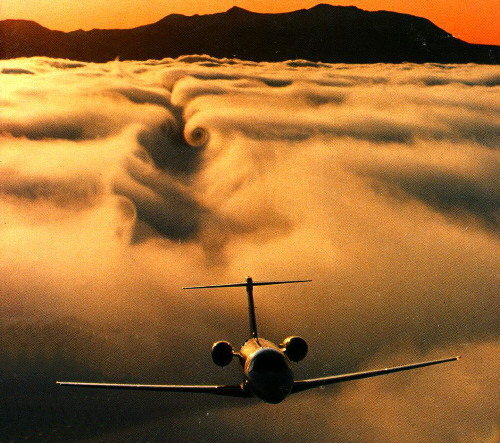 This singularity would not happen on a real airfoil. Instead the flow would separate and the airfoil would stall. 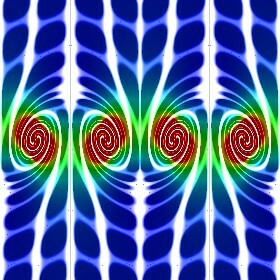 Here is another variation showing vortex pairing and pathlines. A shock tube is a tube containing high and low pressure gas separated by a thin diaphragm. A shock wave is produced when the diaphragm is quickly removed. The color in the upper plot shows the pressure. The lower plot shows the density. The following Mathematica code solves Euler’s equations in 1D using the finite volume method with the Jameson-Schmidt-Turkel (JST) scheme and Runge-Kutta time stepping. This simulation is based on a simple method presented in this paper and sample C++ code by Jos Stam. 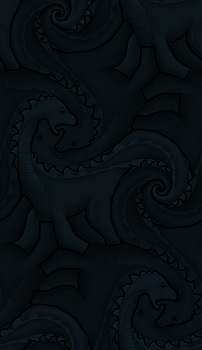 I got the idea for this potential flow animation from this paper. 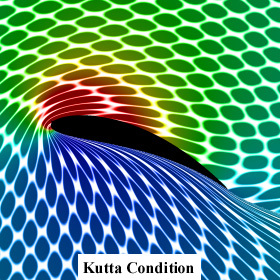 The entrained fluid was integrated using the 4th order Runge-Kutta method. 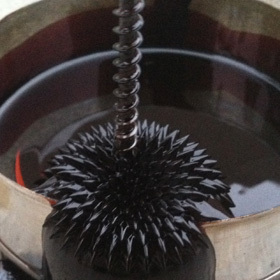 This magnetic fluid is great for visualizing magnetic fields (but it is very messy!). 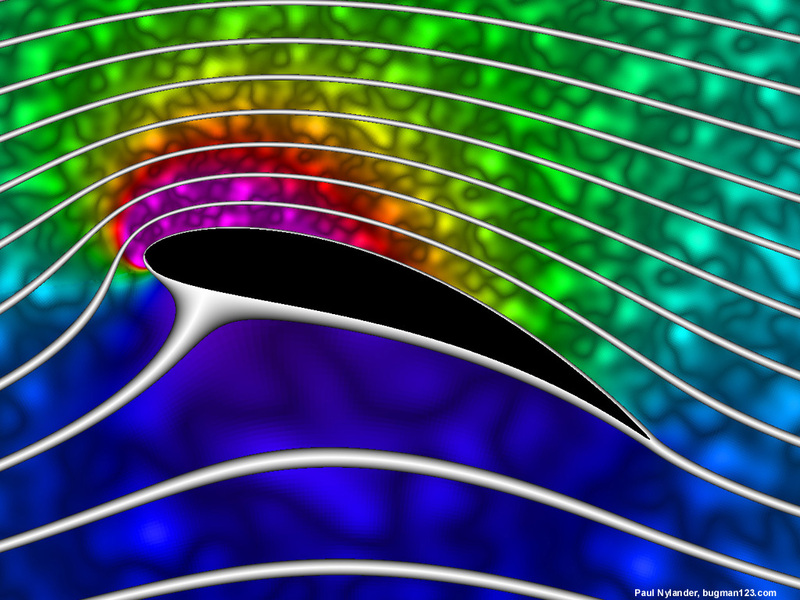 When you place a magnet under the fluid, it forms spikes called Rosensweig instability peaks. You can buy ferrofluid here. 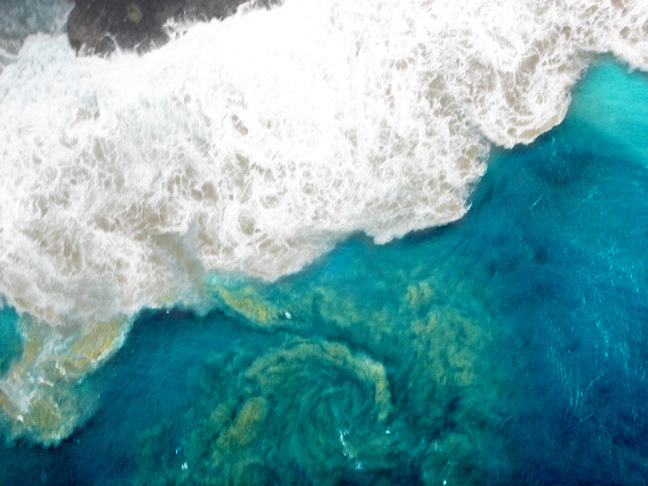 The left photo shows a giant whirlpool I saw below our helicopter during our Kauai helicopter tour. 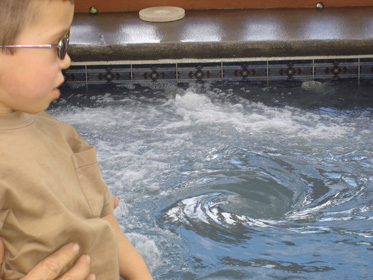 The right photo shows a small whirlpool we saw in a jacuzzi in Ecuador. 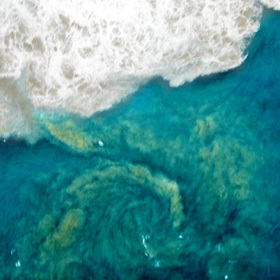 See also my Maelstrom rendering. 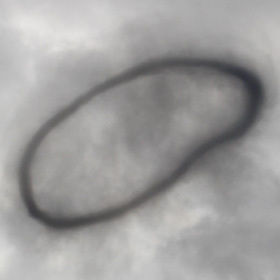 Here is a giant vortex ring of smoke from an explosion at the Miramar Air Show. Here are some weird tests of CFL3D. 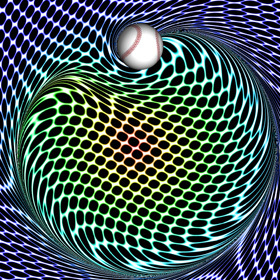 The right image was my attempt to simulate shock diamonds. The color represents the Mach number.